1963. 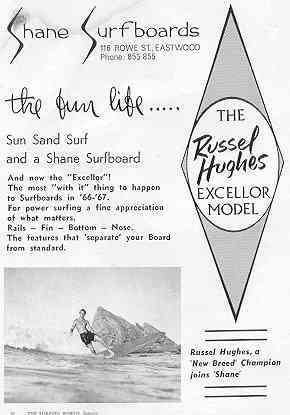 Shane Malibu 9ft 3". Foam blank, 1/2'' redwood stringer, balsa/mahogany tail block, fibreglassed, resin stripes. 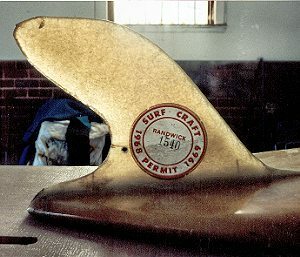 Crude Dolphin fin with extended base to tail. Image courtesy of Shane Steadman.